So you’ve been diagnosed with a thyroid problem. That’s the first step, but a diagnosis is not a cure. The only way to appropriately deal with and correct your thyroid disorder is to understand what caused it in the first place. Chances are you are on thyroid hormone replacement therapy and because you are here searching for more information, you still feel like crap. This is because the medication is a band-aid on a wound that will not heal unless we figure out what is causing the problem. Taking a holistic approach is the ONLY way to get to the root cause, reverse the damage and keep it in remission. Yes, remission! If you start looking at your thyroid disorder as though it was cancer (taking over and destroying your health), you will understand how crucial it is to dealing with it once and for all. When you know why you can work to reverse it and take back control over your health. 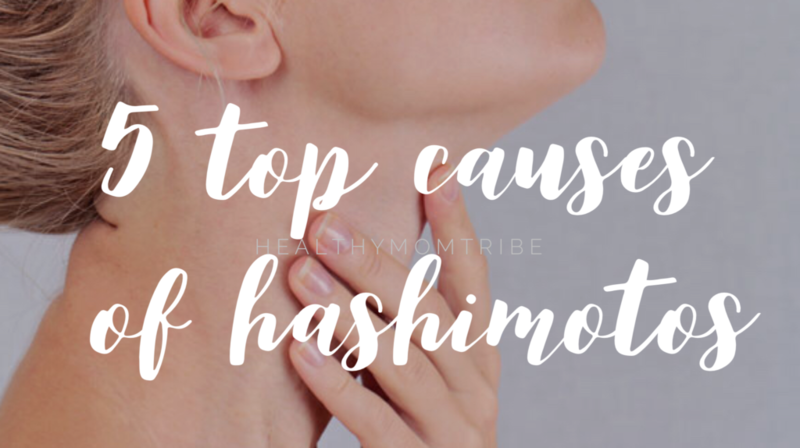 Did you know that an infection you may have been exposed to years ago could possibly be the cause of your thyroid disorder? Truth is that infection is one of the main causes behind thyroid dysfunction. Anyone of these infections can mess with your thyroid function, which leads to chronic inflammation that can look like many other chronic illnesses besides thyroid disorders. Because the root of almost all illnesses begins in the gut, a healthy digestive tract is crucial. Since these infections ruin the gut health, it leads to many issues including thyroid disorder. *these are addressed, in the “Road Map to Recovery” thyroid program for moms. Celiac disease is an autoimmune condition in which your immune system targets your intestinal cells. Gluten intolerance behaves very similar to celiac but not as extreme. Since the patient is not diagnosed with celiac and continue to consume gluten, symptoms worsen over time and mimic chronic illnesses just like thyroid disorders. Scientists have found a strong relationship between this illness and thyroid disorders. Again, going back to the gut health is crucial. 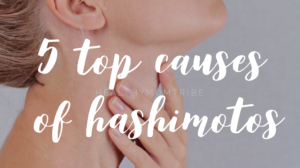 If you experience either celiac or gluten intolerance you are at a higher risk of being diagnosed with the autoimmune thyroid disorder, Hashimoto’s. Although many low-calorie diets are advertised as “healthy,” it is smart to stay away from them if you have a thyroid condition. Low-calorie diets have been known to damage your thyroid health. If the body doesn’t receive the energy it needs to function properly, it goes into a state of starvation. When this happens, the adrenals start producing cortisol. Studies have found that women who were on a very low-calorie diet had reduced T3 levels by 66%. I experienced my most weight gain after my second brain surgery that made me very nauseous and ate very little. Even though what I was eating was healthy, it just wasn’t enough to keep my body fueled for optimal thyroid function. Inflammation is one of the most common causes of all chronic illnesses, especially thyroid dysfunction. Sadly it can go undetected since most doctors do not look for or test for the biomarkers that show inflammation. If you are not sure what inflammation is or what it looks like, it starts with many of the underlying causes of thyroid issues, which include stress, deficiencies in nutrition, and autoimmunity. These factors can either be a cause of inflammation, or they can be the result of inflammation. Either way, they go hand in hand. Be sure to pay attention to any pain or discomfort you might experience; it could be signs of an underactive thyroid. Sore joints, constant migraines, constipation, inability to focus can all be signs of inflammation. Here’s another tip, if you have excess weight mostly concentrated I your midsection, suspect inflammation! I am sure that you too may be as frustrated with the medical community as I once was. Explaining to your doctors all your symptoms and them being told “nothing is wrong with you” absolutely crushes our soul. NO matter the cause of your thyroid disorder, most doctors will put you on the exact same regimen, thyroid hormone replacement medications. There may be a need for low dose thyroid hormone replacement to help repair and reverse the thyroid. Because thyroid disorder symptoms often mirror the symptoms of other illnesses, and so some individuals suffering from thyroid problems might receive a diagnosis for depression, chronic fatigue, or bipolar disorder instead. 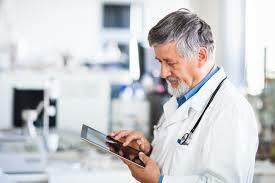 *I teach you exactly how to talk to your doctor to get the care you desperately need. Your thyroid is a crucial part of many of your body’s important processes from sleep regulation, mood stability, energy, maintaining a healthy weight, skin, hair, bowel movement regularity, and nail growth. I cannot tell you how many women come to me for an assessment to only find out that labs are indicating thyroid disorder and most likely the #1 cause, autoimmunity, yet they are being told by their primary doctor there is nothing wrong even though they are demonstrating symptoms of thyroid dysfunction. That being said, it’s important that you pay attention to your body. Don’t ignore the signs or suffer through symptoms; it’s advisable to seek out a functional medicine practitioner who can provide you with comprehensive and accurate testing, give you a proper diagnosis, and offer you individualized and effective treatment options. *I help you find and work with medical and functional medicine doctors to promote the best results for you. A great place to start is with my Labs at a Glance FREE downloadable document you can take to your doctor and keep track of your lab results. I hope this help set you on the right path to your thyroid recovery. If you’d like more support The Road Map to Recovery program is your best option. Six full months of support to walk you through everything you need to reverse your autoimmune disease once and for all.